How to transfer or merge one MockFlow account into another ? 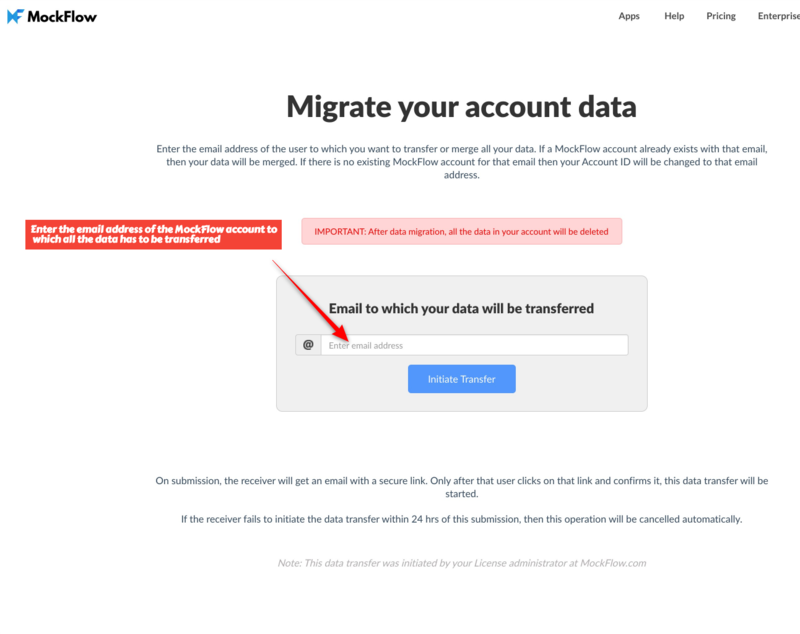 In certain circumstances, it will be necessary to migrate an entire MockFlow account to another user such as when an employee gets relieved, team restructuring, data migration etc. 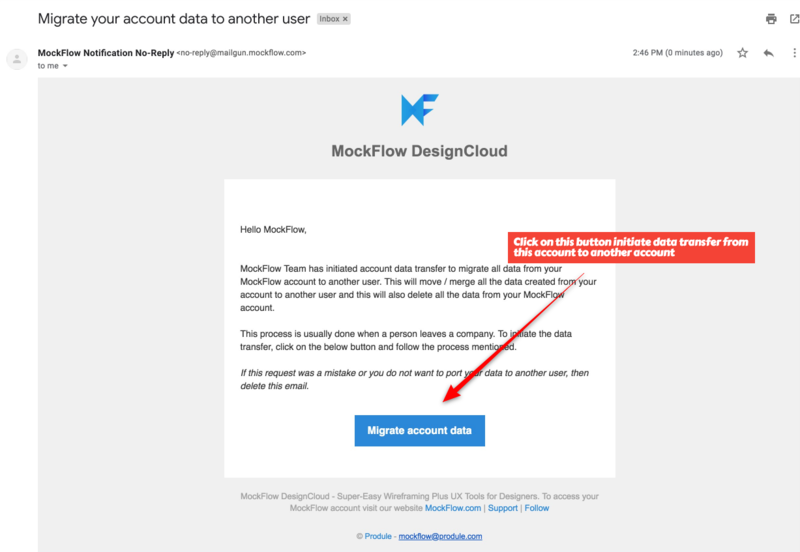 MockFlow provides a single-click self-serve data portability to help merge or transfer all data from one account into another. 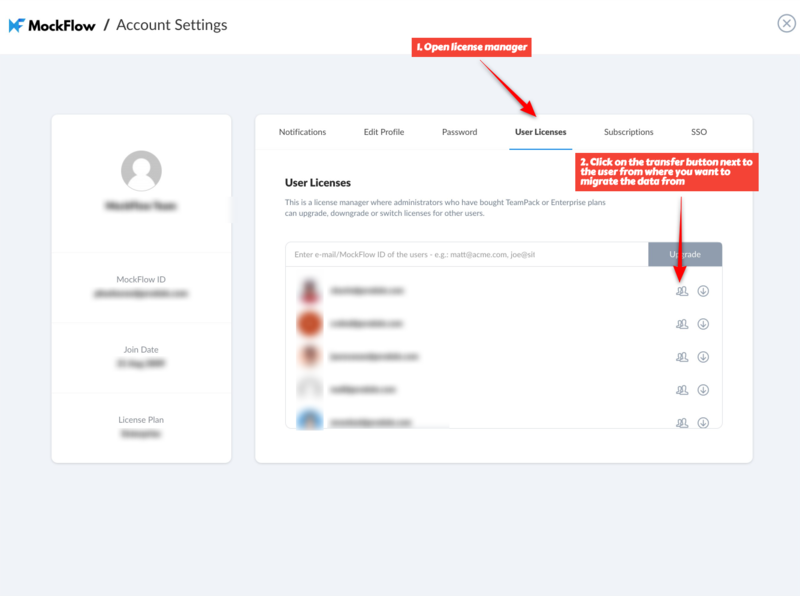 This feature merges all account data including projects, sharing, assets... to another user in a single operation.